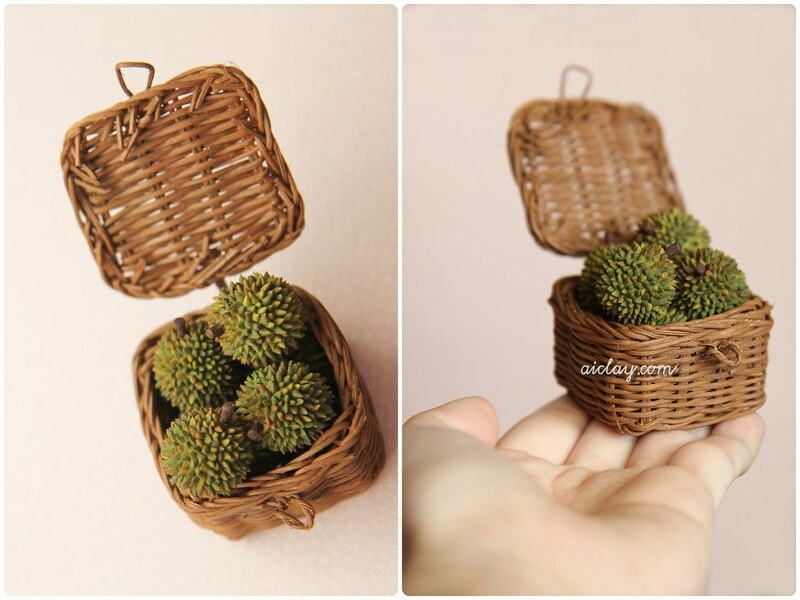 AiClay - a Haven of Miniature Food: Durians, and The Big Day Tomorrow! Here are some miniature durians handsculpted by me. But I'm really here to tell you about the BIG DAY tomorrow. Yes, it's the long awaited filming for the program 'Behind This Door', it's happening tomorrow! -nervous butterflies in belly. I still don't have my clothes picked out. But at least, my room is all packed and ready for Toggle Mediacorp production crew. Oh wow, how exciting! Good luck!! Hi Jocelyn! How wonderfully exciting!! :D Hope your day goes well, best wishes and good luck!